Intro from Jay Allison: The Internet and on-demand is fundamentally changing the landscape of public radio. Does it change our mission? Many of us were drawn to public broadcasting for its mission. We like the idea of working for a social cause in a context larger than ourselves. We want standards of success more meaningful than revenue and audience metrics. Interestingly, for producers incubated in public radio, much of our storytelling skill and sensibility has just become popular and profitable—via podcasting. We can find support. We can find our audiences, directly. It’s a thrilling time. But where does that leave the public media collective, the idea of a social enterprise dedicated to the common good, the local/national connection between stations, networks, and producers… what do we do with that? And, absent a non-commercial system, can the marketplace provide everything a civil society needs? 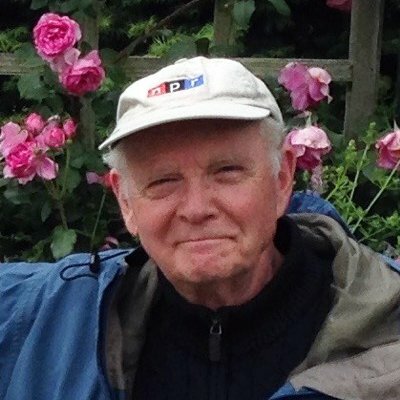 To talk about these questions, we asked Joe Richman to interview Bill Siemering, the author of one of our most eloquent expressions of mission. Joe and Bill cover a lot of history and imagine the future, including the idea of a “social profit” approach. These are important conversations in an era when public broadcasting may need to undergo some radical changes in order to accomplish our purpose, whatever we deem that to be. Bill Siemering: When I was assigned to write the mission statement, I had these things in mind. I wanted to differentiate it from the old educational radio, from commercial radio, and from public television. I wanted it to be a celebration of what radio can do. And most importantly, perhaps, is where will public radio fit into the media landscape. Joe Richman: Just set it up for me a little bit. Bill: Are we taping now? Joe: This was a very useful voice check. [Laughter] Your voice checks have content, usually it’s just breakfast. You know the miracle of this, Bill, is that we can actually edit it. Bill: Yes, I know. And you can use it for an obit or something. [Laughter] I thought that’s why you were collecting this stuff, I thought you were preparing it like they do with the New York Times — Bill’s 80 now, maybe I can pitch this to NPR. Joe: A morbid agenda. [Laughter] Why don’t we start out with having you identify yourself. Bill: I’m Bill Siemiering. I was elected to be on the founding board of directors of NPR and then asked to write the mission statement. With that task, I was trying to accomplish several things. I wanted to differentiate NPR, public radio, from commercial radio, from educational radio that we were growing out of, and from public television that was already on the air. I also wanted to capitalize on the strength of radio as a medium with a statement about radio. At that time it was still ignored or undervalued. And also, I was very cognizant of, most importantly, what was going on in the culture, what were the issues that the other media weren’t dealing with. Joe: And what was the media landscape at that time? Bill: There was the voice of authority from New York, male voice, reading the news, hardly ever any actualities, fairly short news, not putting things in a context, not really hearing from people they were talking about. They weren’t talking with protestors of the Vietnam War or minorities of various kinds. There weren’t women on the air. I don’t think there were hardly any people of color on air. I believe that if you have the diversity of the country reflected on air, you have a diverse audience. If people hear their own voice, their own perspective being acknowledged, they will pay attention. This came out of my experience in Buffalo where I set up a studio in the heart of the black community and folks there produced 27 hours a week of programming. That was the first time that they had a voice where they could talk about issues and also celebrate their own culture in their own way, without some white owner who was trying to push a certain music. Bill: It would have been 1969. Joe: Getting ready for NPR to go on the air in 1970. Bill: May 3, ‘71 was the first broadcast of All Things Considered. Joe: Do you remember the process of writing and what you were thinking about? Bill: Yes. In all fairness, I just didn’t cook this up. It was a board assignment, so they would review it and give me comments, and we’d have discussions. But I did quite a lot of research, I talked to different people in different areas and I was aware of CBC because I was living in Buffalo. I was just writing this longhand, sitting at the dining room table. Joe: Okay. Well, let me get you to read the whole thing. Bill: All right. This was included as part of the presentation to CPB to get the funding for it. This isn’t the whole document, this is just kind of the first part of it. National Public Radio will serve the individual, it will promote personal growth, it will regard the individual differences with respect and joy, rather than derision and hate. It will celebrate the human experience as infinitely varied, rather than vacuous and banal. It will encourage a sense of active, constructive participation, rather than apathetic helplessness. National Public Radio, through live interconnection and other distribution systems, will be the primary national non-commercial program service. Public radio stations will be a source for programming input as well as program dissemination. The potentials of live interconnection will be exploited; the art and enjoyment of the sound medium will be advanced. In its cultural mode, National Public Radio will preserve and transmit the cultural past, will encourage and broadcast the work of contemporary artists, and provide listeners with an aural aesthetic experience, which enriches and gives meaning to the human spirit. In its journalistic mode, National Public Radio will actively explore, investigate and interpret issues of national and international import. The programs will enable the individual to better understand himself, his government, his institutions, and his natural and social environment, so he can intelligently participate in affecting the process of change. The total service should be trustworthy, enhance intellectual development, expand knowledge, deepen aural aesthetic enjoyment, increase the pleasure of living in a pluralistic society, and result in a service to listeners which makes them more responsive, informed human beings and intelligent, responsible citizens of their communities and the world. So, getting back to the first point: provide an identifiable daily product, which is consistent and reflects the highest standards of broadcast journalism. Because National Public Radio begins with no identity of its own, it is essential that a daily product of excellence be developed. This may contain some hard news, but the primary emphasis would be on interpretation, investigative reporting on public affairs, the world of ideas, and the arts. The program would be well-paced, flexible, and a service primarily for a general audience. values, and cultural and ethnic minorities, which comprise American society. It would speak with many voices and many dialects. The editorial attitude would be that of inquiry, curiosity, concern for the quality of life, critical problem solving, and life loving. The listener should come to rely upon it as a source of information of consequence, of having listened as having made a difference in his attitude toward his environment and himself. National Public Radio will not regard its audience as a market, or in terms of its disposable income, but as curious, complex individuals who are looking for some understanding, meaning, and joy in the human experience. Joe: How does that sound to you now? Bill: Well, it’s still relevant today I think, if I may say so. [Chuckles] We’re still not treating individual differences with respect and joy. We’re still not celebrating the human experience as much as we might. Although, in all fairness, I think public radio has done all these things that I talked about, This American Life being a wonderful example of celebrating the human experience. Bill: That wouldn’t pass any corporate mission statement today. Ha. In some of the histories that have been written about NPR it’s been said, well, it is more philosophical or something, there’s nothing you can take with that and produce a program. Well, true, I guess. [Laughs] But others say it’s been a kind of a guiding light for them. I don’t know, not for me to say. Joe: But as you read it now and think about where we are today, what are the things that we still need to be thinking about and what feels outdated? Bill: I really do believe that this mission has become real through producers like you and the hundreds, maybe thousands of producers and news-people, reporters all over the world now. I think that there’s a greater need than ever for this type of media, where people can come together and hear each other, respectfully; where they can hear the news placed in a context that gives it meaning. I think we’re doing that. This was criticized sometimes for being too lofty. It is aspirational, but I think it’s been realized, so I don’t think it was all fuzzy thinking. And it wasn’t fuzzy because it was born out of my own primary experience, working in Buffalo in the black community, working with folks at the Tuscarora Indian reservation, working with students, working with young composers at Suny-Buffalo, and writers. All those experiences informed what went into this; it wasn’t an abstraction for me, it was real. Joe: What surprises you as you read this? How would you write it today? Bill: When I was talking about the identifiable product, of course, that became All Things Considered. I would have changed it because I was saying it wouldn’t be so much news, it would be more interpretation, and that isn’t the case at all. It is news, it’s a different kind of news perhaps, but it is, so I would switch those around. That was one of the things that stood out that didn’t turn out exactly as I described it there. [Chuckles] We never were able to get as many pieces from the stations as I envisioned. It was to use the stations as a resource as well as a point of distribution, as they say, and I thought that maybe a third of the content of ATC would come from stations, but that never happened. At the time many stations didn’t have the capacity to do it, or the training. Joe: When you look back on the last thirty or more years of All Things Considered, talk about crafting the goals, the mission, the ideals, and then seeing what has actually happened. Bill: I think it’s evolved organically, and it’s flourished. I’m thinking the early years there were more produced pieces. I had thought of the second half hour as the place to have up to 20-minute documentary or something in there. Occasionally that happened, or maybe they were 10-minute documentaries. But now with the pressure of the information to get out, those have kind of dropped by the wayside. I mean, you, your examples stand out amidst that. That’s where the podcast is another network that’s evolving for that form of expression, I think, which carry out the same mission as we have here in a different distribution system. There’s always a need to renew, there’s always a need to refresh, and I’m so heartened by the next generation coming along, even after yours — I mean, there’s several generations behind me here [Laughs] — and their love for the medium. I think we all love what we do, and we love the medium of radio for what it can do. It’s not just we enjoy recording and editing, but it’s the effect it has on individual listeners is what it’s all about. I think there’s a culture of public radio now. There is, among producers, an understanding of norms and ethics and so on that I think hold people together. There’s a sense of camaraderie among producers, isn’t there? Joe: There certainly has been, and there continues to be. It’s not a guarantee. Bill: No, but everyone’s kind of facing in the same direction and bringing their own individuality to it, and unique strengths and skills, perspectives. That’s the beauty of it. I do regret that the context of the programs are so intense now, but it’s a more complex world that we’re living in and there’s less opportunity for leaning back and hearing children playing or whatever. I still believe that by including those elements, it helps each set off the other. That is, you talk about the Middle East for ten minutes, and you need a break, you need to rest your mind, to go someplace else, because you can’t take it any more. That’s where I think some of these other elements that I’m describing could improve the program. But the pacing is so different it’s hard to insert something where you’re barreling ahead. Now we want to go down this side road, or we want to go bushwhacking even, and see where we go. Joe: As a producer I love the fact that people might listen to my stories, didn’t plan on it, didn’t even want to — maybe even after they’re done they still don’t want to, but all that stuff is slamming up against each other. Now we’re in a world where things are on demand and choosing the things you want. I always think about how nice it is to get the things that you didn’t know you wanted. Bill: Exactly. The surprise. That’s what you like to build in as a producer, so I think that’s one thing that is regrettable, but I understand the dynamics of producing a news program. But there still are, obviously, pieces that are reflective and deal with the arts. That’s where things change often is through the arts, certainly not through Congress. Joe: I would say I’ve gone through a couple of what at the time people called golden ages of radio. But right now, it’s the golden, golden age. There is so much excitement and energy and experimenting and curiosity and just a love for audio happening right now, and that’s really exciting. It makes you love being in this. Bill: Yes. I’ve gone to the live events of This American Life and Radiolab, and a lot of young people are there. They might not be listening on an actual radio, but they’re listening on their Ipad or Iphone, and they’re regular listeners. Everyone can be their own program director now so you can listen when you want; you’re not limited by three o’clock I have to tune in. That opens up a whole new space. It’s just wonderful. 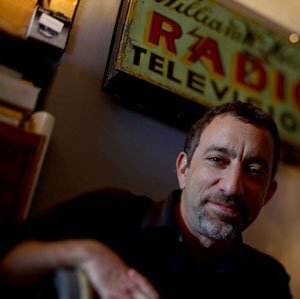 Joe: In terms of this new space not being actually public radio, public media, and not having that umbrella mission, guiding principles, what are your thoughts about that in terms of when things still have an aesthetic or a brand or connection to public radio, but they’re no longer public radio? Bill: There are hundreds of podcasts, so one can’t really get a sense of everything, but I think there are values, there are understood cultural norms that are prevailing. A lot of them are life loving, celebratory, some wonderful investigative reporting going on. So it’s really expanded through the limits of a program like All Things Considered or Morning Edition. In many ways, I see the expansion of what I’ve read in the mission statement through the podcasting. Joe: It’s interesting because you can think about whether it’s nonprofit or market driven, and you can think about whether it’s broadcast or podcast, but what you just said is the spirit, I guess, that’s the underlying core value. Bill: I think it is following this curiosity and the editorial attitude would be that of inquiry, curiosity, concern for the quality of life, critical, problem solving and life loving. I think all the podcasts would fit within that. Joe: Is there anything feeling old and dead to you about the public radio system at this point? Bill: Perhaps the idea of an All Things Considered is old now, and yet there’s still a need for a daily program of its kind. But I don’t know if in ten years it’ll still be the same, or how it’ll evolve with radio stations and people getting access to programming direct, or NPR. Listeners can access NPR without going through the local radio stations. Stations will have to become much more engaged in their local communities to counter that, to keep listeners. Joe: Do you think about where non-commercial media is heading? Bill: It’s playing with words maybe a little bit, but there’s some talk of not talking about things as what it isn’t — non-commercial, non-profit. Some people are now talking about social profit, the social benefits. Okay, you’re a nonprofit. What are you? Well, there’s a social profit to the community by the information that’s presented. I think this is one of the key points, the unique quality about radio or audio is, it not only brings information to people vertically, but the unique strength is the horizontal, the conversations that you can hear, discussing issues of great importance, and you can participate through texting or calling, things like that. That’s something that no other media does. Capitalizing on the unique strengths of audio/radio, I think that’s the future, It’ll never go away. I think it’s, as you say, stronger than ever. You’re talking about the golden, golden age right now. Joe: We think about broadcasting as an antiquated version of all of this. I know you’ve talked about the origin of the word and this idea of [an] agricultural term. Bill: Scattering seeds. Right. We’re all broadcasters; we scatter seeds of ideas, hearing different voices, stimulating thought, reflection. The origins of broadcasting in America were at the University of Wisconsin in Madison in 1917, and it corresponded with the mission of the university to extend the resources throughout the state to every home under the university precedent set in 1904. And of course in that time the state was agricultural and much of the country was. So as they were thinking of a term for what is this new thing, they used the term “broadcast,” which is scattering seeds — a farmer walking through the fields and literally scattering the seeds. It’s my favorite image because we don’t know what will grow up from those seeds. Joe: One of my favorite things about being in public radio for a long time has been, I like feeling part of something. When I think about how things are changing, I guess that’s the part that makes me a little uneasy. Is that sort of mission driven, “we’re in this together for a greater purpose,” feeling going to stick around? You know, those moments where you’re just uncertain and what the hell are you doing and this story isn’t working out and why am I doing this? You can always fall back on some sense of a greater purpose — it’s not just for me. I find comfort in that and I find a fuel in that. Bill: Yes. It’s not for me; it’s for the listener. Joe: That’s what I wonder, how things will change. Bill: Yeah, it’s hard to see into the future that way. I would be confident there’s a critical mass of producers now who are imbued with a sense of purpose, they want to have impact, they want to have people feel something when they listen to the piece, in some cases maybe take action. As long as we focus on the listener, the end user as they say, and try to present things with clarity and context and skill, art, we’ll be fine. Joe: There’s also been something about public radio that has drawn certain people. It drew in a Jay Allison, an Ira Glass, these people who have really helped define the work that many of us do, and the work that young people are doing now, as well, in other forms. There was something about that calling that drew those people and kept them. Bill: And you’re wondering if that calling will still be there? Joe: Yeah, that’s what I’m wondering. What’s the important thing to preserve as the non-commercial part is disappearing, as the public radio, the idea, is disappearing, as maybe the mission is, maybe not disappearing, but at least is more self-defined. How much of that will stick around? Joe: Can’t you see in the future? [Laughter] Well, do you worry about it or do you not worry about it? See, I think you’re a pretty optimistic guy. Bill: I have a lot of faith in the public radio community, and the culture. I was talking to a man who had come over from India, he was a businessman, and I identified I knew something about public radio and he said, “You have no idea how important public radio is to the immigrant community, it’s how we learn about this country.” I don’t take cabs very frequently, but when I do in DC, invariably it’s an Ethiopian or African cabdriver, and they’re listening to public radio. And they’ve told me it’s the cab drivers radio station. So that’s encouraging to me. And you know, people use it, there’s a currency when they talk to their relatives and their sons and daughters in California or whatever, “Did you hear Fresh Air today?” or “Did you hear, you know, this piece,” that kind of thing. So it has a far-reaching, I think, impact on this country. Bill: I don’t know. There is a corporate one, of course. [Chuckles] But I’ve been told they still give this one to new employees to say this is kind of what we aspire to. It’s always having some kind of revived interest. Somebody sent me a message that some of the NPR managers were having a retreat and they took the mission statement with them to talk about. It’s being read at the gatherings of National Federation of Community Broadcasters, as a parting benediction or something. I don’t know why it’s having this revived interest but it does seem to be. I guess people find some resonance in it and some relevance that the issues they’re talking about are not dead, that it’s still alive. And it is aspirational, I think, it was intentionally aspirational. But, I hasten to add that it’s been manifested, it’s been made real, it’s not just, well, we had wishful thinking. Bill: It happened. That’s extraordinary …. Joe: You write something down on paper and it comes out the speaker. Joe Richman is a Peabody Award-winning producer and reporter and the founder of Radio Diaries, a non-profit organization. For almost two decades, Radio Diaries has helped to pioneer a model for working with people to document their own lives for public radio. Award-winning productions including: Teenage Diaries, Prison Diaries, My So-Called Lungs, New York Works, Thembi's AIDS Diary, Mandela: An Audio History, Willie McGee and the Traveling Electric Chair, and Teen Contender. Radio Diaries is a founding member of the Radiotopia podcast collective. Joe also teaches at Columbia University's Graduate School of Journalism. I wish I could believe half of what I have read here.But NPR long ago sold out the public in public radio to the corporate agenda. Shows like Morn Ed. , the weekend morning shows and “Innovation Hub” see as as mere consumers of goods and services as opposed to citizens of a democratic society who must make informed decisions.Many of the stories are infomercials for video games, and commercial television programs.Socialist and labor voices are systemically marginalized while corporate elites like Elon Musk , Jeff Bezos, and Steve Jobs are touted as “innovators” with no critical examination of their labor practices.And Ira Glass recently advocated for a “new kind of capitalism” for NPR. Once again, where are the socialist voices? The coverage of Iraq and Afghanistan was too infested with “hero” stories to offer any critical inquiry into the stated rationales for the US invasion and occupation of those nations. And who could forget Lianne Haaaaaansen’s rhapsodizing for two hours on what a “nice man” Ronald Reagan was at the expense of any critical look at his controversial legacy. Of course, we should not be surprised given that NPR’s recently hired manager has a background in advertising.This is not the NPR, I came to know and love in the early seventies. What happened? NB: For anyone wanting to hear Bill’s full read of the Mission, we will be posting the entire audio in the near future. Joe, so glad you took the time to have this talk with Bill. Since we tend not to look backward in this country, it’s important to honor and remind people of the original emphasis on including the public in public radio. Bill is an optimistic guy. Did he assuage your anxiety about the future? And is there anything more you have to say about what you’re sensing or observing that makes you fret over podcast world holding onto certain sensibilities. Thanks for this comment Syd. Yes, Bill is an optimistic guy. I love that. Our conversation made me feel more optimistic as well. But… I also enjoy anxiety. It’s my coffee. It’s an incredibly exciting time. Some of the best audio work ever is happening now. Audiences are paying attention. There are jobs! And the best parts of public radio – what Bill wrote about in the mission statement – are found in so many podcasts today. The sensibility, the voices, certainly the love of audio.The question isn’t so much about what’s happening now, but what happens next. When the memory and mission of public broadcasting fades, will the same things matter? Who knows. But I’m glad Bill wrote it down. Much as I used to love NPR, since they have become so biased toward corporate sponsors I rarely listen to them. Instead of hearing about the issues in the presidential campaigns (when I have my only once-a-week Diane Rehm News Round Up Hour) I hear a bunch of panelists touting the “skills of campaigning” or other elements of the horse race. This is not what we want from NPR. I still give, but only to specific programs. I am forced to get the quality of news I used to get from NPR by listening to DemocracyNOW.org, reading the guardian and BBC news and a few other podcasts. A pity, really, because I used to love NPR. Alas, sold out and now generally annoying.